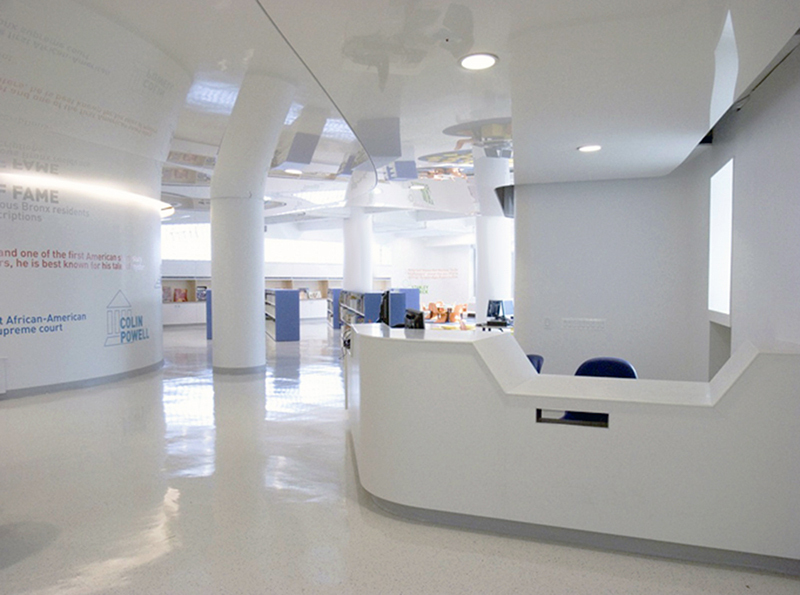 Institutional projects normally allow the most design flexibility provided code standards are met and first-costs remain low. 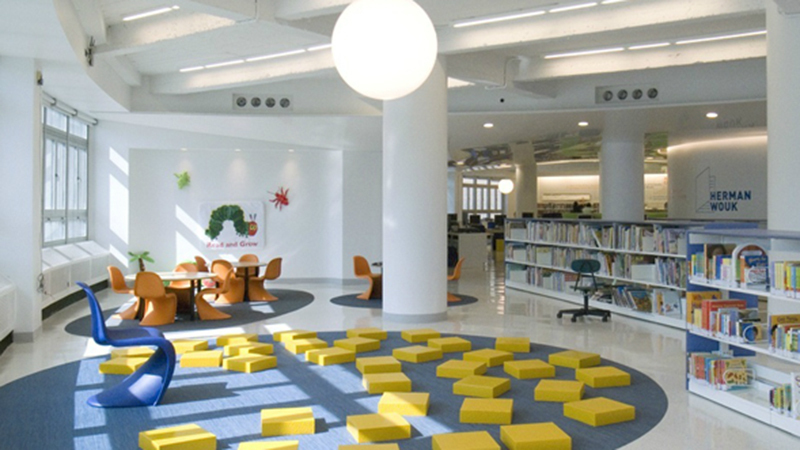 In the case of Bronx Library, a minimum cost budget required maintenance of existing systems and creative modifications to the existing distribution systems to achieve desired smooth ceiling construction without access points. Systems and distribution were maintained, modified or upgraded as required while keeping costs within range as specified.